So, you see or smell mold in your home or business. While you know that mold is an issue you should address, you may not understand what it takes to remove it completely. Or, you may be wondering what the damage is going to cost you. 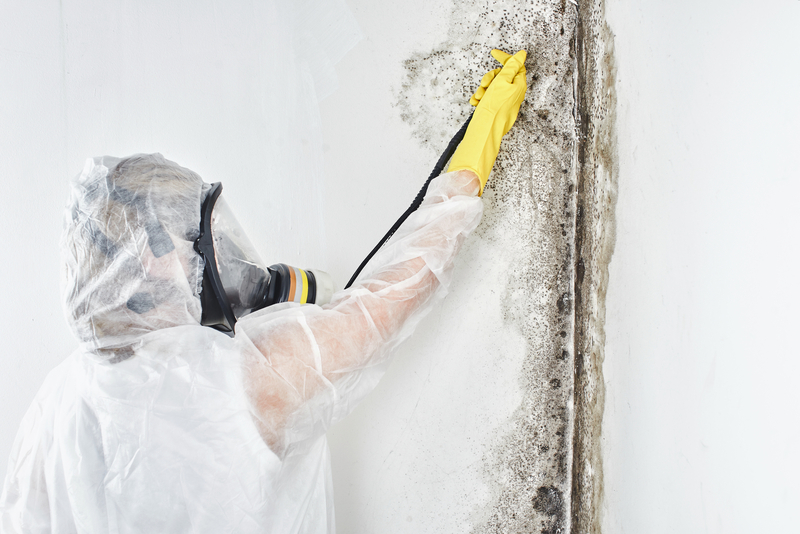 Don’t worry; there are a few things you can consider before hiring a mold removal specialist. This way, you can be sure you’re hiring a company you can expect to give you a fair price and honest work. You may read elsewhere that a mold inspection is vital to the process of mold remediation. However, if you can see where mold is, where it’s coming from, and how it’s thriving, you may not need a mold inspection. Basically, mold inspections are normally suggested for individuals who need to prove the presence of mold before buying a house or for an insurance adjustment. But, they’re not necessarily a further help to individuals who are already sure that they have mold. If you’re searching for a reputable mold remediation agency but come across quotes that include mold inspection, be wary of being charged extra for this service as you may not need it. Here at A Plus Mold Remediation Inc., we’ll never charge you for something you don’t need. That includes charging for inspections you don’t need! Employees who wear protective gear like face masks, gloves, and other equipment which reduces the chance of mold damage to bodily systems. The use of plastic protective sheeting during the mold remediation process to keep the mold growth to one area of the home or business. The disposal of items which mold grows on which may include drywall, furniture, baseboards, and cabinetry. Once mold is removed, air should be purified to remove spores from the air source through air exchange and the use of air scrubbers. Additionally, once mold is removed, the use of antimicrobial cleaning solutions should be evident to remove any spores which remain. Finally, a professional mold remediation team will seal the affected area to prevent mold regrowth by further water accrual. When it comes to pricing a mold remediation job, it really depends on how much work there needs to be done. Obviously, if a quote seems too good to be true, you should be wary that a company may not remediate mold the correct way. However, if a quote seems too steep for the amount of work you need done, it may be a good idea to shop around for different quotes. When you choose A Plus Mold Remediation Inc., you can trust that you not only are choosing a company that will offer professional remediation but remediation that’s at a competitive price. Plus, we always make sure that our clients understand the process and ask any questions they may have before the process begins. If you have seen mold in your home or business, it’s best to get it taken care of right away, as mold is dangerous to health. If you would like a quote for mold remediation, contact us right from our website or give us a call today at 561-247-3506.